Could anyone possible provided a visual clue as too how this pump is supposed to be wired? Ive spent the past week trying to get this pump working with no success. Im only assuming it is a wiring issue as the pump will not even turn on. I am using the Makerhive eSwitch kit, and wired it following the instructions too a T. Im super stumped. Flyback is the wrong way. I already fixed that thanks to help from another source but the pump still wont run.. OMG!!!! I wish i could give you the biggest high five in the world!!! I dont know why i never figured that out!! it works like a charm!!! Quite lucky, if you'd connected to the PSU correctly with the flyback diode reversed you'd have damaged the Duet and/or that little controller board. Yeah it's an old topic but I've a related question to this common ground connection. What would be the drawback of using the pin 2 of the extension board (next to the pin 1 used for 5v) instead of using the one on the PSU, it's common ground isn't it ? My question is really oriented into cable management since I host the eSwitch board over my Duet Wifi in the same case,. Pin 2 of the expansion connector is intended for use as a signal ground connection. If you need a ground connection for a fan, I suggest you use the one on one of the always-on fan outputs. However, if your air pump is 24V then you don't need to use a buck converter, so what do you need the common ground for? I'm using the Berd-Air on a 0.85 Duet and a 1.03 Duet Wifi without use of the eSwitch module. The Duets are rated to handle the current of the 12V and 24V pumps with direct wiring. I installed the flyback at the motor endbell for both installs. The 1.03 Duet Wifi does really need it, but I added it anyway. I've got 100's of hours on both boards with the Berd-Air wired directly. The 0.85 is passively cooled, and the Duet Wifi is actively cooled because I'm running the stepper drivers at about 1.7 amps. 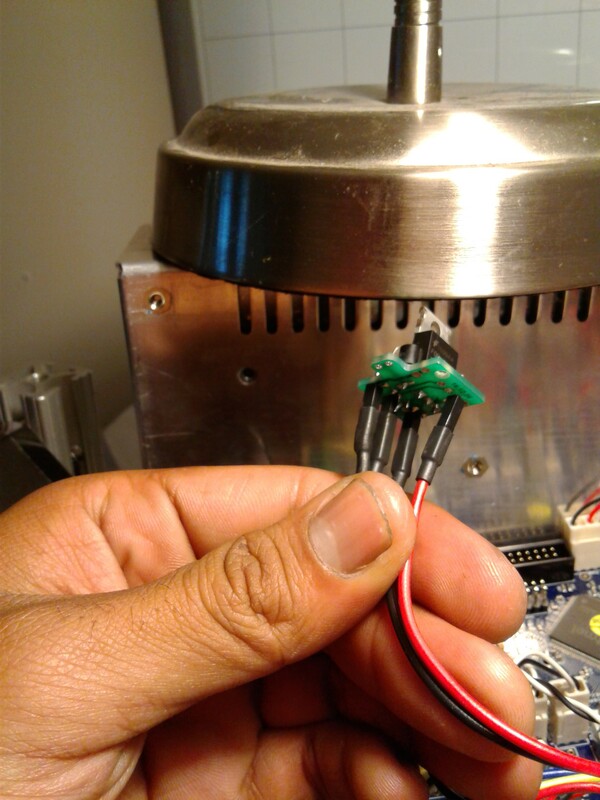 as mentioned in the wiring diagram I need a common ground, so instead of using the common ground from my PSU and since the pump didn't run like 5amp I tought I could use a common ground pin from the board. "** WARNING ** connecting this pump directly to your FAN output on your motor controller is not recommend. Damage to the FAN MOSFET could occur. I highly recommend the use of the eSwitch kit or similar to act as a buffer to prevent damage to your printer control board." Anyway, did you configure the fan as simple as M106 P1 S0 while direct connecting the pump ? 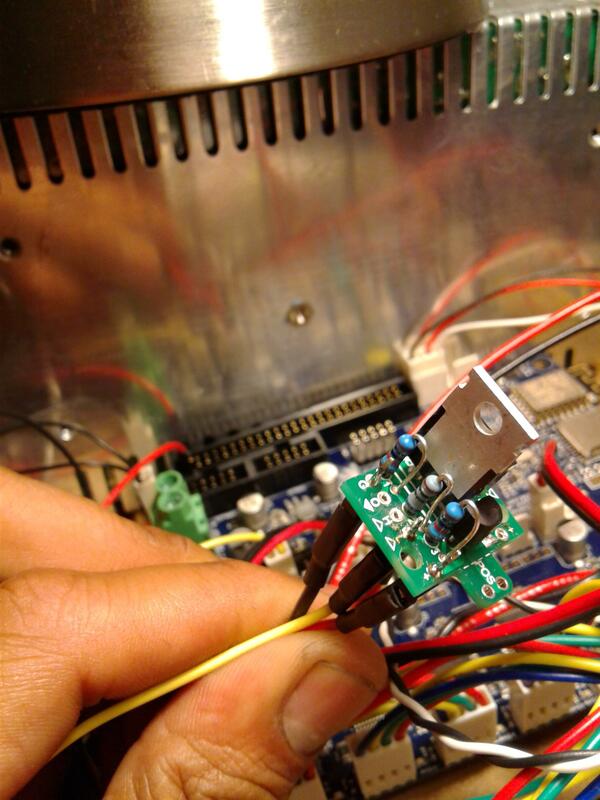 If not using the eswitch kit then I recommend you use a surge-limiting thermistor in series with the motor. See https://forum.duet3d.com/topic/4477/24v-pump-can-i-connect-direct. I measured max current with the pump outlet blocked at full power and they were within safe limits. These are low cost motors, so I always check them before I use them. Not sure of what equipment you have, but at a minimum, you can check current draw with most multi-meters to ensure you don't have a junk motor that would cause damage. I agree with dc42's recommendation to use the surge-limiting thermistor for protection. It's inexpensive insurance. It's not just the max current with the output blocked that's a potential issue, it's also the surge current when the motor starts. Measure the resistance of the motor several times, turning the shaft a little between measurements if you can. Take the lowest reading and divide that into 24. That will give you the starting current. If it's more than 3A then you should definitely use the thermistor. One of our users with a BerdAir type pump (not an actual BerdAir AFAIK) had the fan mosfet driving the pump fail after several weeks of operation. I'm fairly sure it was caused by the starting surge current exceeding the peak current rating of the mosfet. Measure the resistance of the motor several times, turning the shaft a little between measurements if you can. Take the lowest reading and divide that into 24. That will give you the starting current. If it's more than 3A then you should definitely use the thermistor. Thanks again for your help, it works like a charm now! Is there any diffrence between that ESwitch and a (hotbed) mosfet? I see difference in connections... And not sure with the wiring?